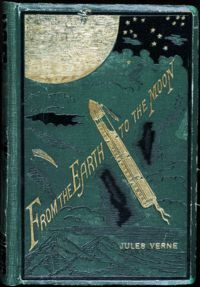 Jules Verne published “From the Earth to the Moon”. 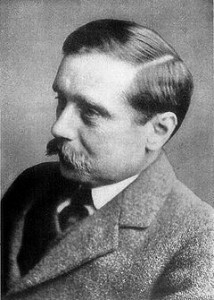 In 1873, the second part, “Around the Moon” was published. He described weightlessness, although the explanation of the physics was incorrect. Parallels to the Apollo Project include a three man spacecraft, the correct Earth escape velocity, the correct time en-route, circumlunar flight, a Florida launch, and an ocean recovery. Edward Everett Hale published “The Brick Moon” which discussed a heat-resistant, manned, communications, reconnaissance, and navigational satellite. Giovanni Schiaparelli described “canali” that he observed by telescope on the surface of Mars. 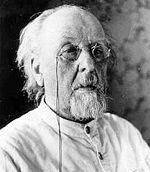 Tsiolkovsky published “Free Space” which described weightlessness during space flight. 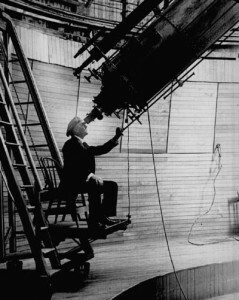 Percival Lowell in Flagstaff, Arizona established the Lowell Observatory. He observes what he believes to be canals on Mars, which he concludes were made by intelligent beings. 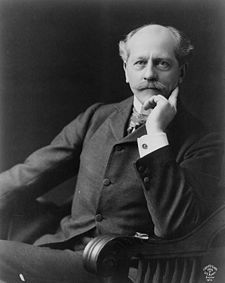 Percival Lowell would publish three books, “Mars” (1895), “Mars and Its Canals” (1906), and “Mars As the Abode of Life” (1908) – all expounding the idea of intelligent life on Mars. 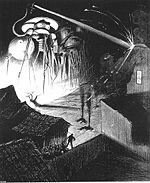 H. G. Wells, inspired by the writings of Percival Lowell, publishes the “The War of the Worlds”. October 19: While sitting in a tree, 17 year-old Robert Goddard had a life changing experience after reading “From the Earth to the Moon” and “The War of the Worlds”. He immediately dedicated himself to inventing a rocket to that would reach Mars. Over the next several years, he attended a series of lectures given by Percival Lowell. “The Exploration of Cosmic Space by Means of Reaction Devices” (Исследование мировых пространств реактивными приборами) by Tsiolkovsky was printed. Tsiolkovsky calculated that the horizontal speed required for a minimal orbit around the Earth is 8,000 m/s (5 miles per second) and that this could be best achieved by means of a multistage rocket fueled by liquid oxygen and liquid hydrogen. Among his later works were designs for rockets with steering thrusters, multi-stage boosters, space stations, airlocks for exiting a spaceship into the vacuum of space, and closed cycle biological systems to provide food and oxygen for space colonies. He also described Earth orbital escape velocity. December 17: Wilbur and Orville Wright made the first powered manned flight at Kill Devil Hills, Kitty Hawk, North Carolina. 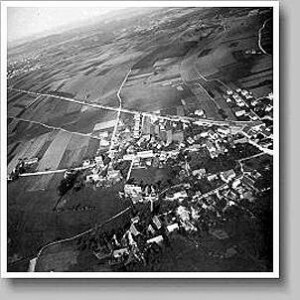 A German engineer, Alfred Maul, took the first aerial photo with a black powder rocket camera at an altitude of 600 m (2000 ft.). At the age of 11 years-old, Oberth became fascinated with spaceflight after reading “From the Earth to the Moon” and “Around the Moon”. 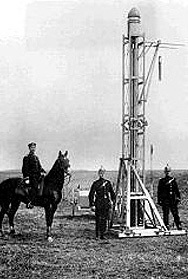 Oberth constructed his first model rocket at the age of 14. 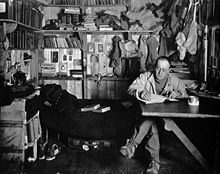 April 6: Robert Peary is the first to reach the North Pole. 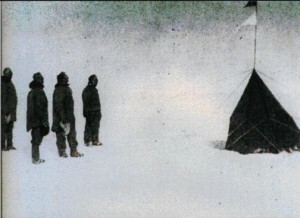 December 14: Roald Amundsen is the first to reach the South Pole. 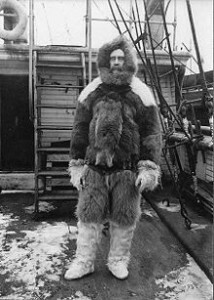 January 17: Robert Scott reaches the South Pole, 34 days after Amundsen, but perishes on the return trip. April 15: Sinking of the Titantic. August 1: Beginning of World War I which would last until November 1918. January 14: Robert Goddard writes “The Ultimate Migration”, a fiction describing the exodus of human civilization from a dying solar system on-board a nulear powered colony. It was not published until 1972. October 25: Bolshevik revolution in Russia.